Explanation: If you could stand on Titan, what might you see? About one year ago the robotic Huygens probe landed on the enigmatic moon of Saturn and sent back the first ever images from beneath Titan's thick cloud layers. 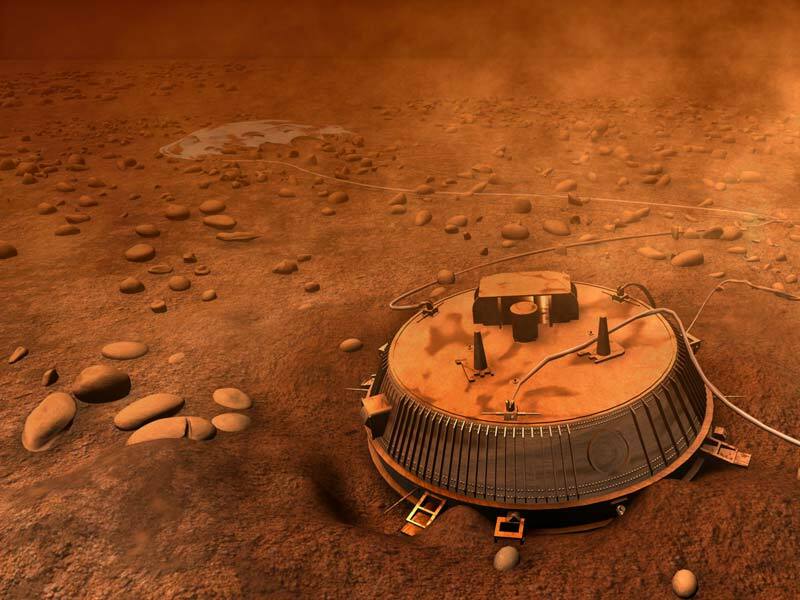 From the images sent back, an artist's impression of Huygens on Titan's surface has been reconstructed. In the foreground of the above image sits the car-sized lander that sent back images for more than 90 minutes before running out of battery power. The parachute that slowed Huygen's re-entry is seen in the background, attached to the lander by strong chords. Strange light smooth stones possibly containing water-ice are visible surrounding the landing craft. Analyses of Huygen's images and data shows that Titan's surface today has intriguing similarities to the surface of the early Earth.